The San Francisco Municipal Transportation Authority, or SF MTA, was hacked on Friday. Some SF MTA employees’ email systems did not work, The San Francisco Examiner reported. The MTA locked its subway fare gates in an open position to enable free riding, according to the paper. The agency was hit by a ransomware attack that disrupted some of its internal computer systems, including email, according to spokesperson Kristen Holland. The attack didn’t affect transit service or buses, she noted. Neither customer privacy nor transaction information were compromised, and the situation was contained. A person at the email address provided by the hacker, who identified himself as “Andy Saolis” to the Examiner, demanded 100 bitcoins — equal to about US$73,000 — to release data captured from the MTA. The MTA payment system was inaccessible over the weekend, according to the Examiner, and employees were concerned that the personal data of the agency’s nearly 6,000 employees was at risk. The MTA’s network was penetrated after an employee downloaded a torrented computer file that contained a software key code generator, Saolis reportedly said. That automatically launched an admin-level infection. The SFMTA network was very open, he maintained. Saolis threatened to close the email Monday if he hadn’t heard from the MTA, which would lock the agency’s infected computers out of its network permanently. “It looks like the Muni scheduling and billing systems are running on the same machines as the employees’ email systems,” said Michael Jude, a program manager at Stratecast/Frost & Sullivan. “This implies that the Muni operations are exposed to external attack,” he told the E-Commerce Times. 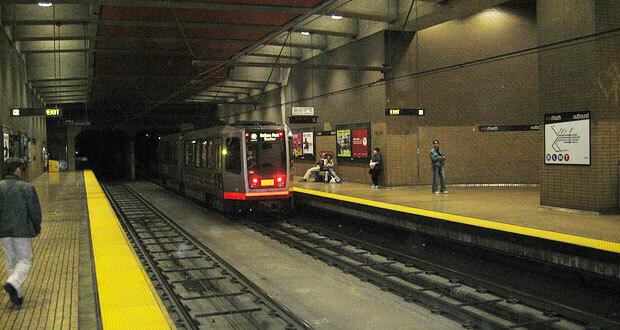 Muni “should have critical operations and management systems running in a secured environment, ideally one not exposed to outside access,” Jude suggested. Mass transit and passenger rail systems, including buses, light rail and subways, are one of the seven key subsections in the United States Transportation Systems Sector. The U.S. Department of Homeland Security, which oversees the sector jointly with the U.S. Department of Transportation, has issued a cybersecurity framework implementation guidance and a companion workbook for owners and operators in the sector to help reduce cyber risks. “The threat environment warrants evaluating security controls for any organization that relies on computer systems for providing a service or running a business,” said Tim Erlin, senior director of IT and security at Tripwire.